The Caterpillar name needs no introduction. When someone says, “I’m looking for a Caterpillar,” it means they’re looking for a tough piece of materials handling equipment that can tackle any job and keep on going. That’s one reason why used Caterpillar forklifts are in such demand. Caterpillar forklifts are not only tough, they are some of the most comfortable forklifts on the market. At Caterpillar, they have a saying: “A comfortable operator is a productive operator.” Ergonomics have been built into Caterpillar forklifts for generations – long before “ergonomics” became a sales slogan for others. Even an older used Caterpillar forklift is likely to be a comfortable forklift. That’s just another reason why they are in demand. Of course, any forklift is only as good as the task it has to perform. If you need to carry a 30,000 lb load, you can’t do it with a light-duty electric forklift and if you need to negotiate tight spaces in a warehouse, you can’t do it in a forklift designed for rough terrain. Just one more reason why used Caterpillar forklifts are in demand is because there are so many to choose from. Even in their Class I electric forklift range, you can choose between 6 different models and similar ranges are available in all other classes of Caterpillars, too. Just as Caterpillar is synonymous with tough, Bahrns Materials Handling Equipment & Supplies, our parent company, is synonymous with “reliable” throughout the industrial heartland of Illinois. The Bahrns story started in 1966, when the company opened its first warehouse in Effingham. The company is still headquartered there, but thanks to the internet, is now able to offer its services nationwide. While all brands of forklifts sold on this site are quality brands of forklifts, as used forklifts, some are in better condition than others. That’s where our policies of service and value come in. All used equipment shown on our pages have been inspected and graded by our factory trained service technicians for you. This service is your guarantee that you won’t be in for any nasty surprises when you buy a previously owned vehicle or piece of equipment from us. The value of any forklift can only be determined by an expert analysis of its readiness for work. That’s why we have developed our unique classifications system. 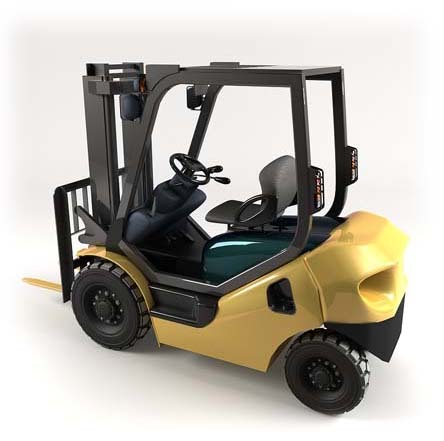 A forklift in operational order will be worth more than an “as is” lift truck, and a fully reconditioned forklift will generally be more valuable than a forklift that has been inspected and deemed operational, but not reconditioned. When you look for used Caterpillar forklifts here on Reconditioned Forklifts, you will not be left in any doubt about their quality or value. Each one has been inspected and priced according to its actual value, not the condition of its paint job or year of manufacture. Check out our About Reconditioned Forklift Condition Types page for a more detailed explanation of our unique grading and pricing system. While we make every effort to fully describe every used Caterpillar forklift for sale on our site, you may have even further questions. That’s why we encourage you to contact us before you buy. We want you to feel like you have visited our Effingham warehouse and gotten to know us in person. That’s the way Bahrns has been doing business for over 40 years and we don’t know any other way.